This article describes some surprising benefits of eating pomegranates or using them in mouth rinses. Reasearch has indicated that pomegranate juice retards the growth of dental plaque and can even aid in improving the health status of gum tissue. 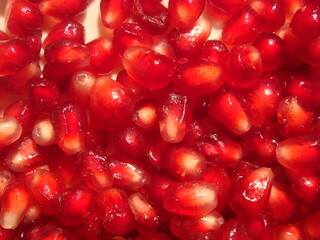 The article also highlights the advantages of pomegranates for protecting the skin and ensuring liver vitality.